The Berkeley County 4-H Extension office, in celebration of 100 Years of 4-H, invited all Berkeley County 4-H members to participate in a photography contest. This photography contest allowed our 4-H members to showcase 4-H values and to capture the story of Berkeley County 4-H through the eyes of our members and the lenses of their cameras. Winning photographs were published as the Berkeley County 4-H Calendar for the year 2015. Photographs were evaluated on the following: Impact, Creativity, Technical Merit, Composition, Subject Matter and Story-Telling. 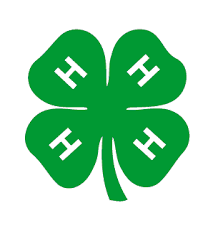 Berkeley County 4-H grows confident, capable, and caring kids with the life skills to thrive in today’s world and succeed in their boldest dreams for tomorrow. Working in partnership with West Virginia University, our 4-H programs offer life-changing experiences to youth of Berkeley County. The caring support of adult volunteers and mentors inspires our young people to work collaboratively, take the lead on their own projects and set and achieve goals with confidence.